All positions – exempt, non-exempt and faculty – require a completed application for employment. Closely review individual faculty job postings for additional instructions. St. Mary’s University is an equal opportunity employer. Applicants requiring assistance with the online application should contact the Texas Workforce Commission. Paper applications are accepted in person. Founded in 1852 by the Society of Mary, St. Mary’s University is a comprehensive Catholic and Marianist university with a strong tradition of integrating liberal arts with professional studies. St. Mary’s serves a diverse student population enrolled in graduate and undergraduate programs within our four schools: Humanities and Social Sciences; Greehey School of Business; Science, Engineering and Technology; and Law. St. Mary’s has been cited as a national model for high graduation rates among Texas colleges and is ranked among the best in the West Region for value and academic quality by U.S.News & World Report. Undergraduate research, community service, internships, and study abroad are some of the opportunities that enhance the St. Mary’s experience. St. Mary’s has about 200 full-time faculty members, 94 percent with terminal degrees. The University offers degrees in more than 40 academic programs, including pre-professional programs in medicine, nursing, dentistry, pharmacy, allied health, and law. St. Mary’s is a federally designated Hispanic Serving Institution, the oldest Catholic university in the Southwest, and a steadfast advocate of the Marianist mission of academic excellence and servant leadership. St. Mary’s University is committed to assisting all members of the community in providing for their own safety and security. 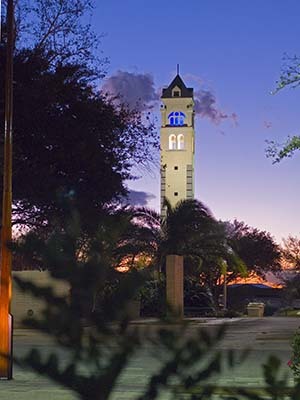 The Annual Security and Fire Safety Report is available at www.stmarytx.edu/compliance/clery-act-information/. If you would like a hard copy of the report, stop by the St. Mary’s Police Department Office at One Camino Santa Maria, San Antonio, Texas 78228 or request a copy be mailed to you by calling 210-436-3330.